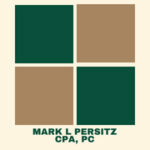 Mark Persitz, Author at Mark L. Persitz, CPA, P.C. Michiganders purchasing holiday gifts from online retailers can conveniently pay their outstanding use tax when filing their annual Michigan Individual Income Tax Return, according to the Michigan Department of Treasury. Michigan’s use tax generally applies to purchases made when a retailer does not collect sales tax. This often happens when individuals purchase items through online or mail-order retailers or television shopping networks without physical locations inside the state of Michigan. The use tax is calculated at the rate of 6 percent of the total purchase. Items subject to use tax include appliances, books, clothing, computers, DVDs, CDs, electronics, furniture, pre-written computer software and tobacco products. Taxpayers can report their total outstanding use tax annually when filing their Michigan Individual Income Tax Return between January and April. Michigan Department of Treasury warning and tips on preventing cybersecurity and tax-related identity theft. The Michigan Department of Treasury is offering tips on preventing cybersecurity and tax-related identity theft. This is really good information whether your issue is tax-related or not. Common sense and intuition prevail–is you think something is amiss it probably is! Major changes to taxation of alimony! The IRS provides a 2018 federal tax withholding calculator to help you make sure your withholdings are correct. Because of the: reductions to tax rates; elimination of dependent deductions; and increase in the Standard Deduction and other changes, it is wise to review your W-4 and revise it if necessary. Even though your employer should be using the new tax tables, it is still a smart thing to do up to you to revise your W-4 so you don’t get a rude surprise when your taxes are prepared next year! The IRS has provided a Withholding Calculator and link to the new W-4 form for 2018 and this IRS page also has a federal W-4 link. Please also remember what you need for your federal W-4 may be different from what you need for Michigan (MI-W4) and what you need for your local withholdings if it applies to you. Despite the hyperbole you may have heard, the sky is not falling! Yes, there are some changes to the tax treatment of meals, entertainment, etc. And you must still follow the same business purpose and substantiation tests. Plus, changing your bookkeeping accounts to accommodate these changes back to January 1, 2018 will make it much easier for you at the end of the year when you go to prepare your taxes! Important Tax Changes Passed Today! The budget bill, signed today, extends several important tax provisions. This morning President Trump signed a budget bill averting yet another government shutdown. Tucked in the Bipartisan Budget Act of 2018 are several extender provisions that expired but are now available retroactively through Dec. 31, 2017. The provision extends the exclusion from gross income of a discharge of qualified principal residence indebtedness through 2017. The provision also modifies the exclusion to apply to qualified principal residence indebtedness that is discharged pursuant to a binding written agreement entered into in 2017. The provision extends the treatment of qualified mortgage insurance premiums as interest for purposes of the mortgage interest deduction through 2017. This deduction phases out ratably for taxpayers with adjusted gross income of $100,000 to $110,000. The provision extends the above-the-line deduction for qualified tuition and related expenses for higher education through 2017. The deduction is capped at $4,000 for an individual whose adjusted gross income (AGI) does not exceed $65,000 ($130,000 for joint filers) or $2,000 for an individual whose AGI does not exceed $80,000 ($160,000 for joint filers). What Is Identity Theft And What Are The Warning Signs? Identity theft covers a wide range of topics including children, drivers license, insurance, social security, etc.. An excellent resource from the State of Michigan Department of Treasury. Are my property taxes too high? This excellent article from Maddin Hauser is mostly geared towards detroit properties but may apply to any residential or commercial property. This is good reading no matter where you are located! Business taxpayers should be extra alert for cybercriminals attempting to steal W-2 forms and other sensitive information through a phishing scam, according to the Michigan Department of Treasury. From the CPA Practice Advisor for pass-through business entities such as partnerships, LLC’s and S-Corporations, this is an excellent discussion of the issue!